Heating and cooling technologies are evolving, with more options than ever to create an energy-efficient, comfortable environment. That’s why Reitmeier created The Exchange. 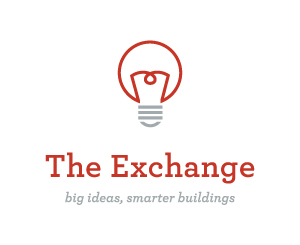 The Exchange is a series of free educational workshops, seminars, and presentations to help you understand your HVAC system, ensure optimum performance, and maximize return on investment. Our intention is to provide you with ongoing information on the best practices in property and facilities management – these strategies will help save money, reduce energy consumption, and create a competitive edge. Taught by experienced and knowledgeable instructors, programs are completely free-of-charge and address a variety of topics – including heating and air conditioning maintenance, controls, equipment trends, building automation, and HVAC system design. Training classes are typically held at our corporate headquarters in Tualatin, OR – however, our skilled instructors are also available to come to speak at your facility. Energy Trust of Oregon Representative Nick Dreves joined us to discuss how to evaluate the energy savings for your building(s), identify opportunities within your portfolio, and leverage Trade Allies and ETO program offerings for improved ROI. As a professional working in commercial property or facilities management, it pays to understand energy efficiency and the resources available to you. With a comprehensive understanding of Energy Trust, incentives, and partners, attendees learned how to invest in their building and realize immediate and long-term return. Experienced Reitmeier HVAC professionals Adam Tucker and Michael Taal lead an in-depth discussion around why HVAC maintenance is essential for building performance – including a maintenance demonstration on a working HVAC unit. At Reitmeier, we live our core value, Leading the Way, in everything we do. This commitment includes keeping our clients and business partners ahead of the latest trends in building tools, applications, codes, and standards. 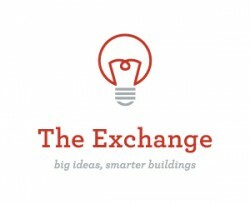 The Exchange’s primary goal is to help you make smart, long-range decisions that balance cost, risk, and profit for the most effective results. If you’d like to learn more about a specific topic, please let us know by submitting your suggestions below. We want to hear from you!